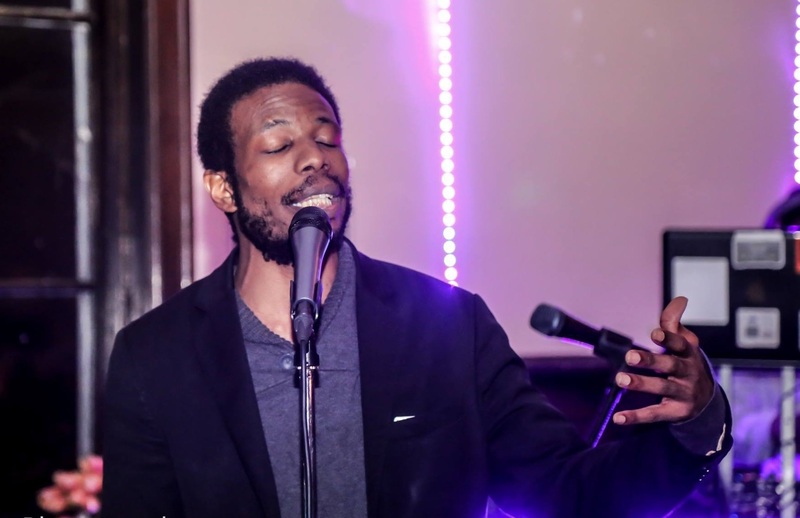 The artist known as Rainmaker performs a spoken word poem at the jam. Photo by Samia Bouzid. The backing track wouldn’t start. A rapper took the microphone off its stand and began to freestyle. Then, from the crowd, someone took up a bass. Another sat at the drums. A third took a microphone and started beat-boxing. It was a Friday night jam on the Grand Concourse. 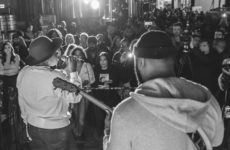 In August 2016, Bronx musicians Luis Da Silva and Gasa Amougou created an event called “the jam” to give local musicians a platform and a way to connect. They aimed to stay true to the spirit of Bronx grassroots music movements but make space for all the borough’s new sounds. Da Silva, and Amougou are artists in residence at the Andrew Freedman Home, a repurposed mansion that houses community-oriented artistic projects. Amougou, 44, a singer and multi-instrumentalist from Yaoundé, Cameroon, had been itching for musicians to play with when Da Silva moved into the studio across the hall. He didn’t have to ask twice. “He just moved in and pow!” Amougou said. They began making plans. Da Silva, 46, a rapper, musician and activist from São Paulo, Brazil, had come to the Bronx in 2005 to establish a local branch of Cufa, a Brazilian grassroots organization for young artists. Having faith in grassroots culture, he reached out to friends and colleagues. He put a cardboard sign out on the gates of the mansion with the words “The Jam” and a time: Friday at 7 p.m. The first turnout was small, a few curious passersby and a handful of friends. They performed music of their own or improvised with strangers to see what would come out. Despite the slow start, Da Silva and Amougou persisted. Since then, on the fourth Friday of every month, he and Amougou set up a drum set, keyboard, microphones and DJ booth in a back room of the mansion. They turn off the overhead lights, leaving only the strip lights that line the DJ booth and bar. The jam grew as word spread through social media and word of mouth. What began as a handful of musicians grew to roughly 30, plus an audience of a few dozen, by the year’s end. 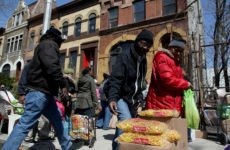 Realizing he needed help organizing the growing crowd, Da Silva called in Luis Canyada, a local hip-hop artist known as Brother North from the group Division X. Canyada, who had been hosting open mics in Manhattan and Brooklyn, was grateful for the chance to do something in his own borough. Canyada helped restructure the jam in January. Now, the night begins with an open mic and ends with an improv session. As host, Canyada keeps things moving. Apart from Amougou, most of the musicians are based in hip-hop. But even though Kool Herc, the originator of hip-hop himself, has been known to pop in during the jam, Canyada emphasizes that the jam is not about bringing hip-hop back, but about creating something new. Johnnito Chavarría, 37, a hip-hop artist and DJ who moved to the Bronx 10 years ago, said that already his sound is influenced by West African music. On top of these organic connections, Da Silva also actively encourages networking. He brings in featured artists to motivate performers. 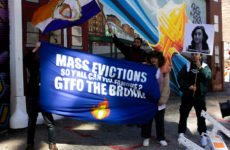 He also teamed up with Aaron Lazansky-Olivas, a Bronx-based digital music producer who works with young artists, to present new chances for artists to make connections. For rapper Eric Morrison, 22, playing music in the Bronx is about making connections with both the past and his contemporaries. He has never missed a single jam.